If you have never seen the 1960 movie, Inherit the Wind, starring Spencer Tracy and Fredric March, do yourself a favor and try to find a copy for one of the upcoming rainy winter afternoons. Be advised, my liberal and progressive friends, there are some biblical references through the picture, but there is enough secularism to offset any fears you may have about being converted. The movie is based on the famous Scopes Monkey Trial, held in Dayton, Tennessee, back in 1925, where a teacher was accused of asking young minds to consider evolution as well as the biblical version of the creation of the world, in violation of the then-current law. In short, the trial generated such a buzz that a couple of the highest-profile national attorneys, William Jennings Bryan and Clarence Darrow, represented the opposition forces. You can research the actual trial on your own, if you desire. Something I took from the movie, one of my all-time favorites, was a story told by one of the counselors about a period in his childhood, where he coveted a shiny rocking horse called Golden Dancer. He recollects about passing the store window where the toy was on display and fantasizing about owing and riding Golden Dancer almost daily. But, Golden Dancer was a “week’s wages” for his father, so there was always a plate glass window between him and the object of his desire. The story continues that his parents scrimped and saved, and somehow managed to buy Golden Dancer for him on his birthday. When he saw her, all his wants and desires had been fulfilled, and he jumped onto her back and started to rock, and the toy broke. The wood was rotten, and the toy was poorly made, and it turned out Golden Dancer was all shine and no substance. Events of this week have reminded me of that story several times. 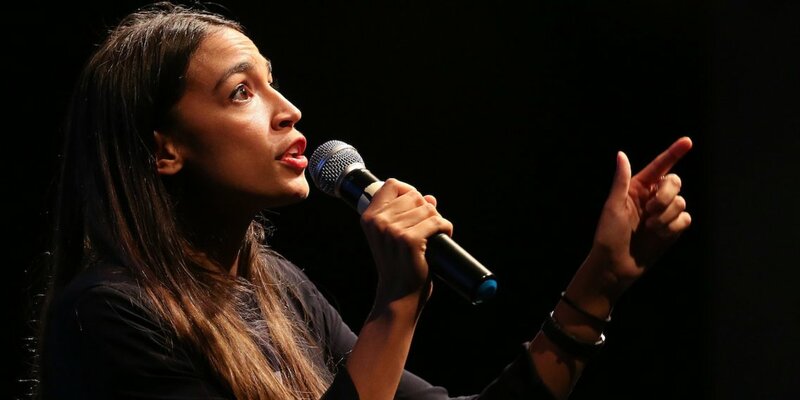 Whenever Democratic darling Alexandria Ocasio-Cortez is interviewed, her fumbling of the most basic understanding of economics begins to show through the shine and glitter of her rock-star like status. She even stumbles when offered the usual softball queries from the supportive mainstream media, amazingly. But the cake was awarded yesterday when conservative commentator Ben Shaprio offered to debate Ocasio-Cortez, pledging to give $10,000 to her own campaign fund for the honor. I knew she would never accept; surely those who surround and advise her would have told her that it would be almost political suicide, but her reason for declining was flabbergasting. She essentially accused Shapiro of sexual harassment when he simply asking her to defend her positions on socialism. Somehow, in typical leftist fashion, she found a way to try to make herself look like a victim. Truth is, her inexperience would be exposed and she would likely be humiliated. She’s not the first to be all glitter. We saw much of the same with Barack Obama. Little to no experience in politics, but a big smile, great optics and flowing oratory led us to believe in change for the better, yet we found the change was more suited to ideological preferences rather than looking out for all Americans. The result was little was accomplished with bi-partisan cooperation, and much of what was done has been undone by the next administration. But don’t get too cocky, my conservative pals. Donald Trump did the same thing to get elected in 2016. He knew exactly which buttons to press to trigger his base also. Fortunately, so far anyway, Trump’s policies seem to be working, but the jury is still out as to whether or not it is because of good leadership or dumb luck. Only time will tell. That’s a problem with too much of today’s politics. We have replaced the store front windows with television and smartphone screens, but we still covet the shine that is being evinced on the surface, and we don’t take the time to investigate the foundation and the workmanship beneath the glitter and glow. All shine and no substance can cost you dearly sometimes.